The Peculiar Treasure: Homemade Sriracha "Ra-Mein"
I don't know about you, but I am (and always have been) completely obsessed with Chinese food. Its my absolute favorite and I crave it often. But who has the time, money, or metabolism to go to a Chinese buffet all the time? I know I don't! If you are looking for something to satisfy your Chinese craving without ruining your wallet, I have the perfect recipe for you! 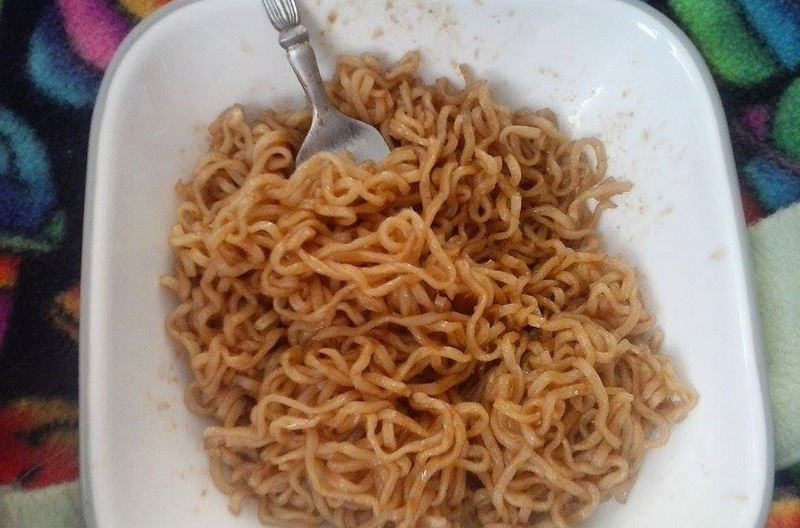 In a stove-top pan, boil Ramen noodles in water until soft. Do not use flavor packet. Next, dump any excess water out of the pan and turn burner heat to medium-high. Add in soy sauce, coconut oil, garlic powder and onion powder. Constantly stir until the soy sauce is cooked into the noodles and there is no more liquid in the pan. Add in the Sriracha and stir until mixed in thoroughly. This meal takes about 10 minutes to make and it is all made in one pan so clean-up is easy too. I am a baby when it comes to spicy foods, so if you prefer your food with a kick to it, add more Sriracha.